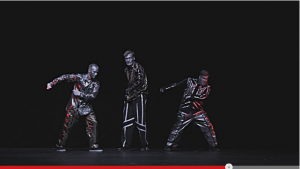 Dubstep pop-and-lock dancers, “Robot Boys” – Nerdwatch! Once again, the Dutch pop-and-lock dancers Nick and Jeppe have another catchy robot-themed dance video, where they’re joined by “Poppin John”, another dancer in a routine set to the music composed by Nick and Jeppe. If you’re into this kind of music and dance, this will be the kind of performance you’ll like. If you’ve never heard or seen it before, give it a shot. Tagged dubstep, Poppin John, Robot Boys. Bookmark the permalink.